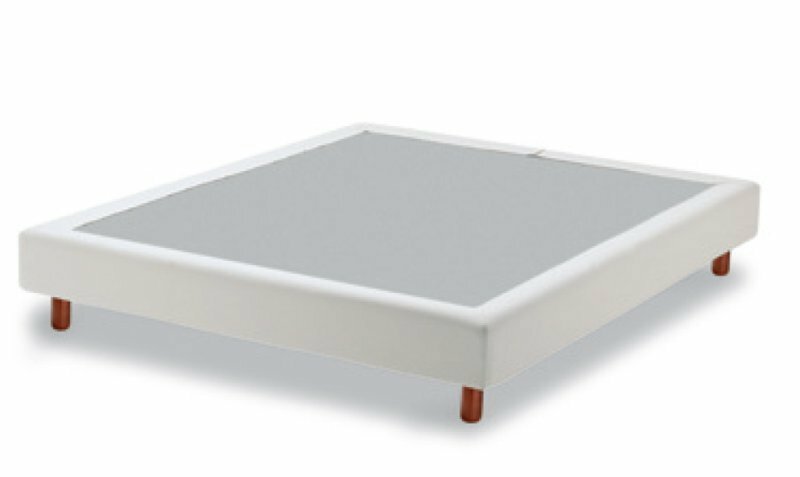 A solid bed base is very important to give your mattress the support it needs to fulfill its potential. 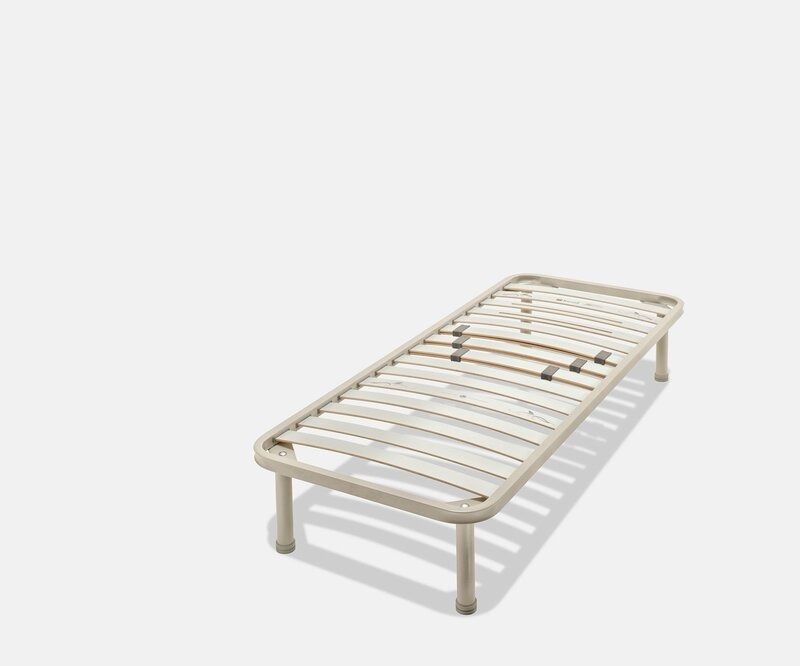 When the iron base is too soft, or wooden slats are flattened, your base can’t guarantee us a decent support, risking ruining your sleep and spoil the mattress. Most of the mattress we deal are studied on wooden slats, giving them an elastic while solid support and a perfect transpiration (fundamental for latex mattresses). We deal different kind of slats, from standard ones to some ergonomic models,with 7 areas of different strenghts. Wooden slats bases can be movable (manually or electrically) if placed under a mattress with no springs. Spring mattresses have their best fit on boxsprings (sommier) that can be made with springs for extra comfort or a wooden plan if we want extra firmness. E.c. 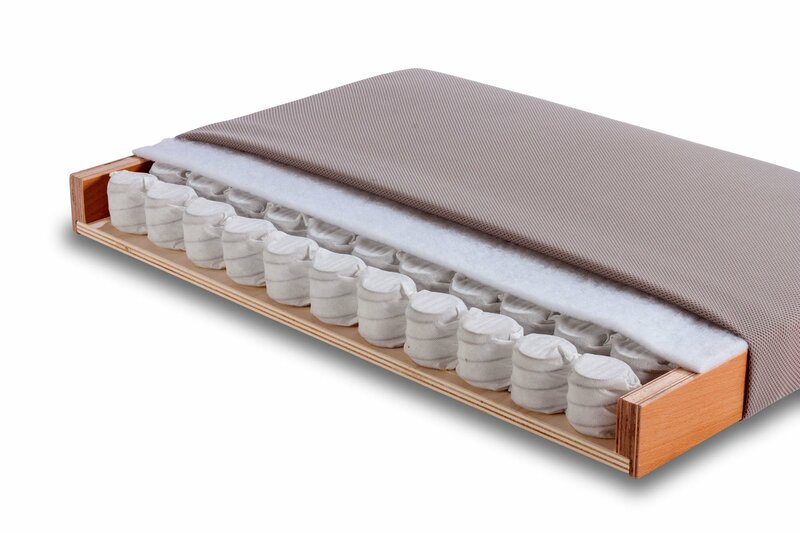 Top gamma hotels worldwide use pocket spring both for mattresses and boxsprings. The importance of a bed does not always end with its ergonomics, since it also has an aesthetic role. Dorsal’s wooden slats bases can be dressed with a fabric skirt, under bed drawers and easy link headers. Simmons’ boxsprings are covered in fabric or ecoleather to became proper beds, and also have matching headers. – V&nice from veneto focuses on padded beds and has a huge fabric choice. They also produce a sofa-bed with foldable second bed or container, ideal for studios or children’s rooms.